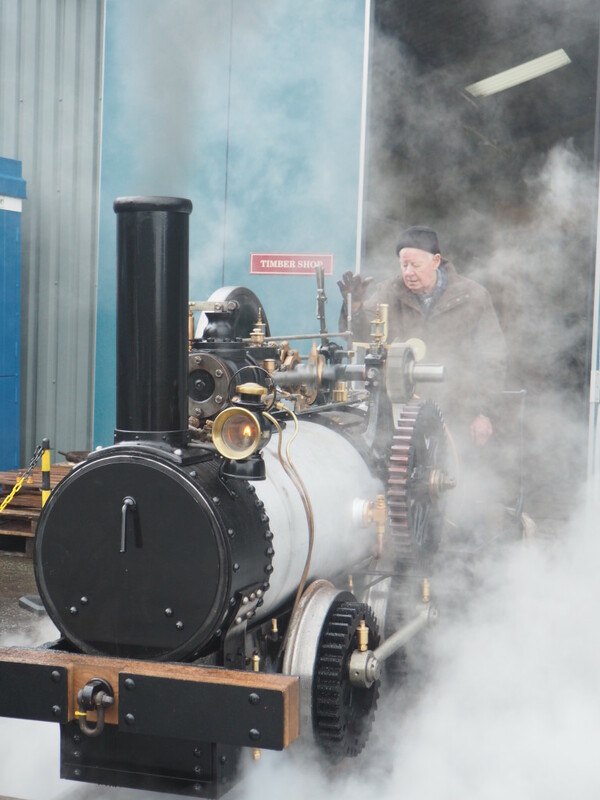 Another momentous day for Samson, with it raising steam for the first time – ever! 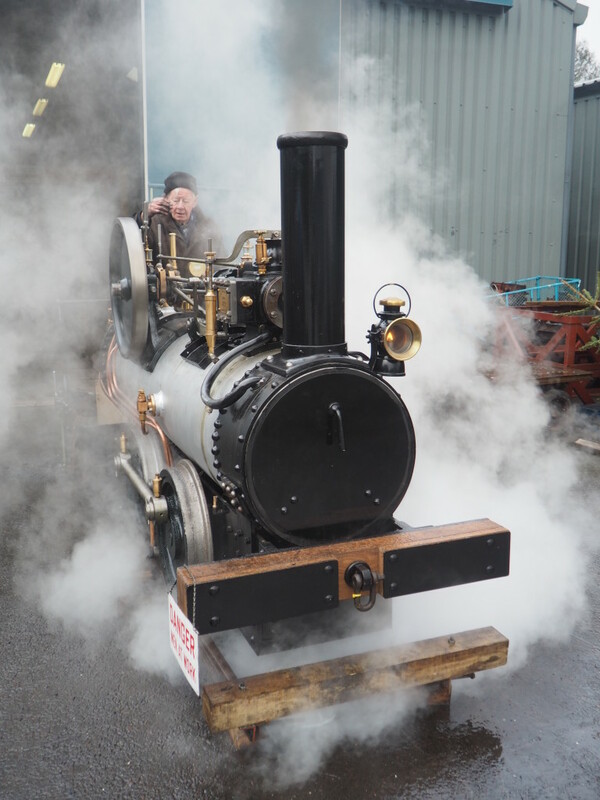 Below: As steam was raised, various jobs were attended to ahead of the first testing of the engine under steam. 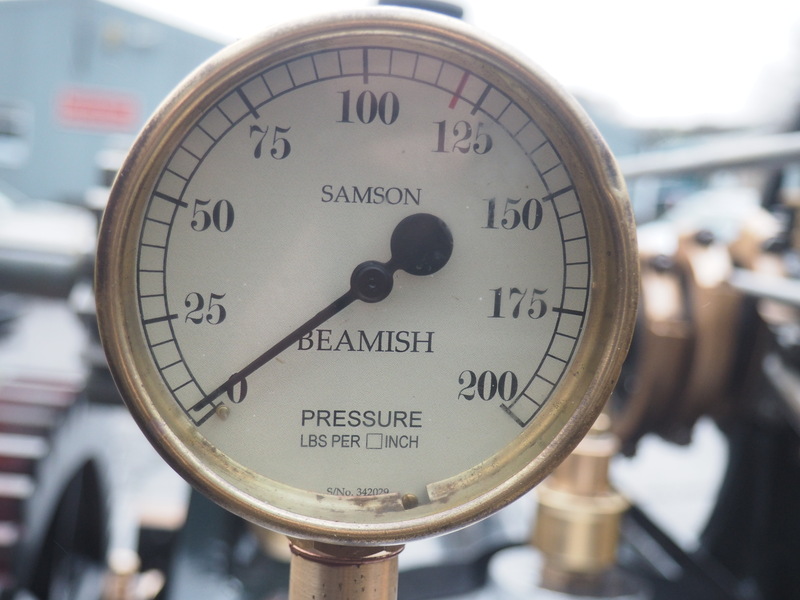 Today the pressure was raised to around 55psi, which revealed a few more jobs to attend to with various fittings. 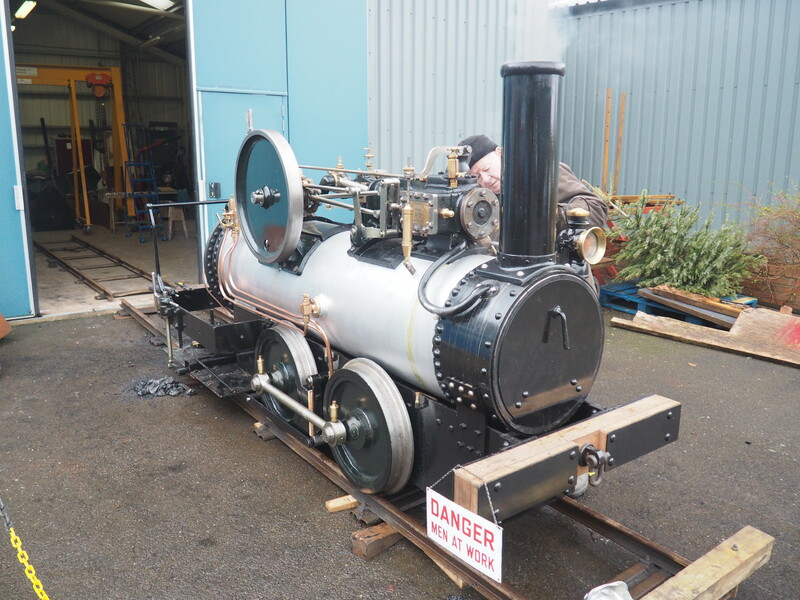 But nothing worrying and we aim to test again within a week, this time taking it to a pressure at which the safety valves can be set/tested. There have been several comments regarding the gear ring on the front axle. 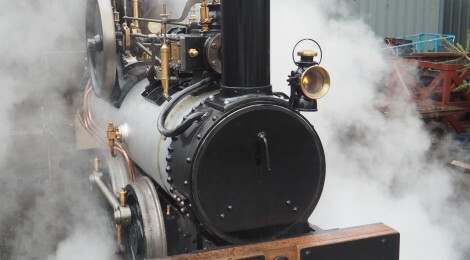 The original locomotive had the gear cast integrally with the wheel, made from steel and machined to finish. 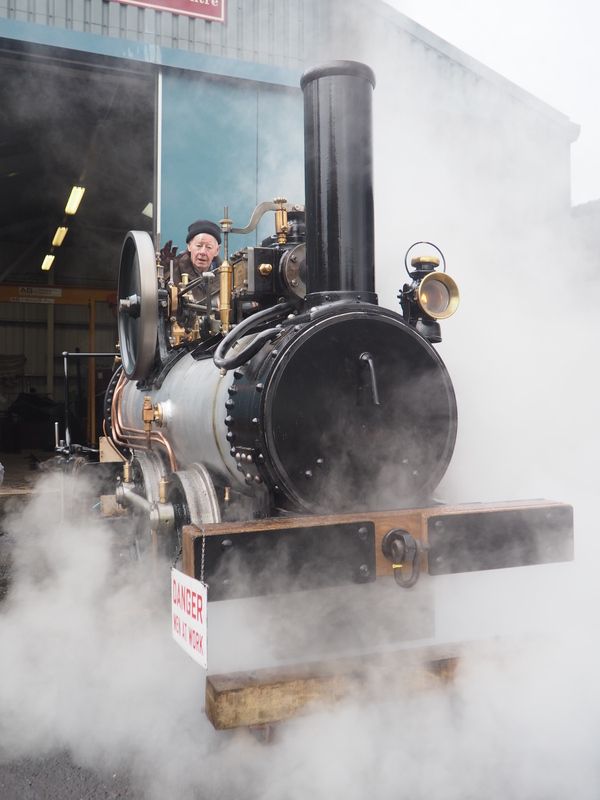 It has been suggested that this was to provide a spare gear, but it might actually be that it was the easiest way to achieve the necessary crankpin clearance from the wheel centre to enable the coupling rods to clear the rear gear. By duplicating the casting, a pattern was saved when manufactured. We have made our wheels with steel tyres on iron centres and machined gear rings, but have replicated the duplication on the front axle. congratulations to Dave for all his hard work he must be very proud. Are there drawings available for modelmakers?